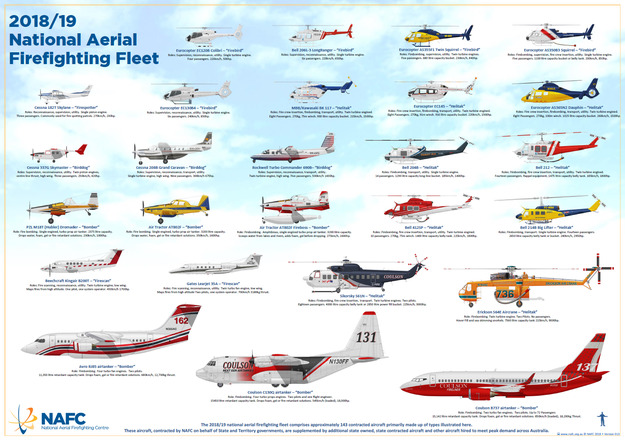 The National Aerial Firefighting Fleet comprises approximately 130 contracted aircraft. 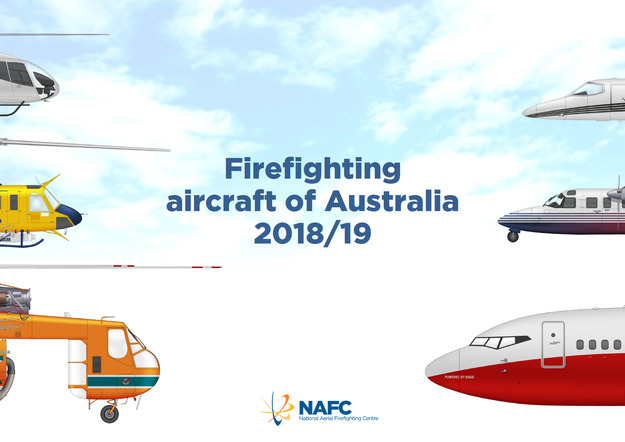 These aircraft, contracted by NAFC on behalf of state and territory governments, are supplemented by additional state owned, and state contracted aircraft and other aircraft hired to meet peak demand across Australia. In total more than 500 aircraft, provided by over 150 operators, are available for firefighting across Australia. Aircraft counts and locations vary from time to time as the fleet balance is adjusted and individual airframes are updated or replaced.